The Dartington Village website provides information about Dartington Village, Totnes, the River Dart and the other villages and towns along its banks. 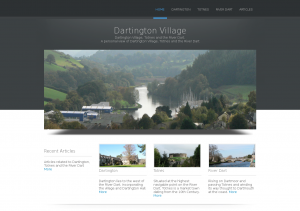 Developing using a CMS allows the client to easily create articles with a consistent look. Additional features can be easily incorporated within the site, as required using Plugins or bespoke code.